January 14, 2015, 2:45 p.m. Most Americans recognize that the unemployment rate has dropped below where it was when Barack Obama took office in January 2009, but that positive assessment has yet to become part of most Americans daily conversations about the economy. And Americans are far more likely to credit themselves and American business – and not the President or Congress -- for whatever economic improvement there has been. In the latest Economist/YouGov Poll, 54% recognize that the jobless rate is lower than it was six years ago, when President Obama took the oath of office for the first time, but there has been little improvement in perceptions from a month ago. There are partisan differences – but this week just about half of Republicans agree with the 64% of Democrats who believe the unemployment rate is lower than it was in 2009. The incremental improvement in economic optimism is also seen in the way people think about the general direction of the economy. 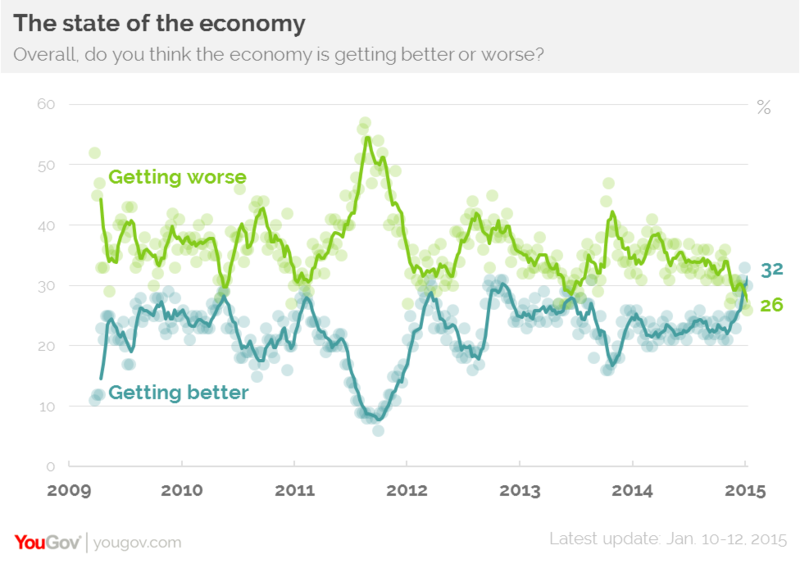 For the last few weeks, more Americans see the overall economy as getting better than believe it is getting worse. And the gap between those who say the economy is improving and those who think it is getting worse may even be growing. 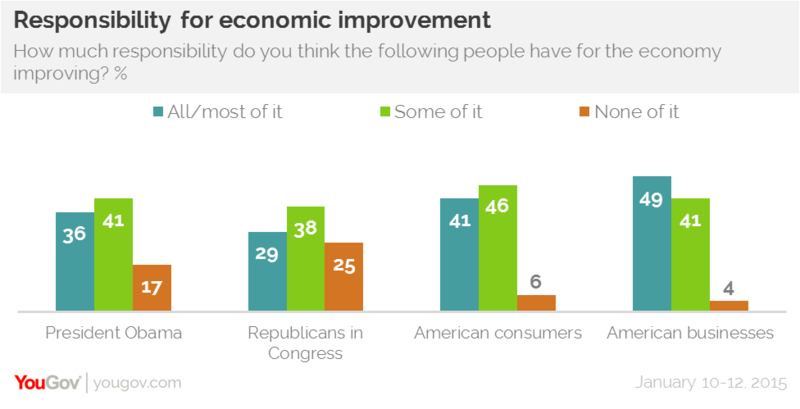 Most Democrats agree the economy is getting better, though just a quarter of independents and only 14% of Republicans agree. However, only a third of independents and Republicans still believe things are getting worse. 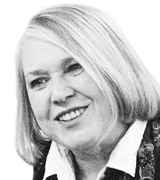 The President may be benefiting from the perceived economic improvements. His approval rating this week is 45%, continuing the improvement from December. 42% approve of the way he is handling the economy. However, for both questions, disapproval still outweighs approval. Half disapprove of how President Obama is handling his job overall; 49% disapprove of his handling of the economy. Nearly half believe the President can do a lot about increasing the number of jobs – and on this Democrats and Republicans agree. 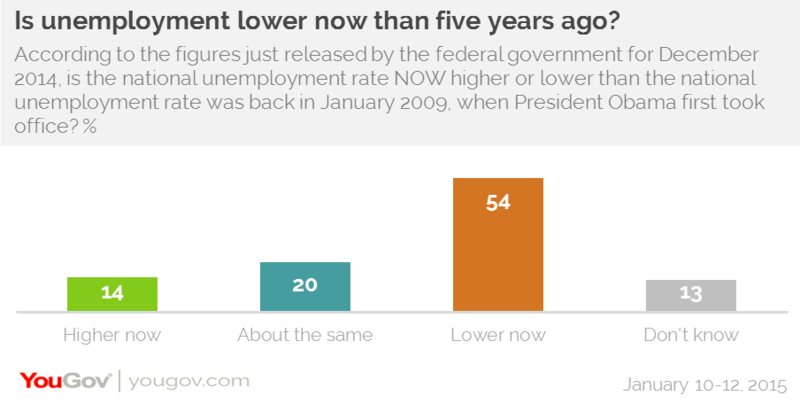 But even with the declining unemployment rate, many Americans don’t particularly want to give the President credit for an improving economy. They are more willing to give consumers (in other words, themselves) and American business most of the credit than they are to credit either the President or the Republicans in Congress. 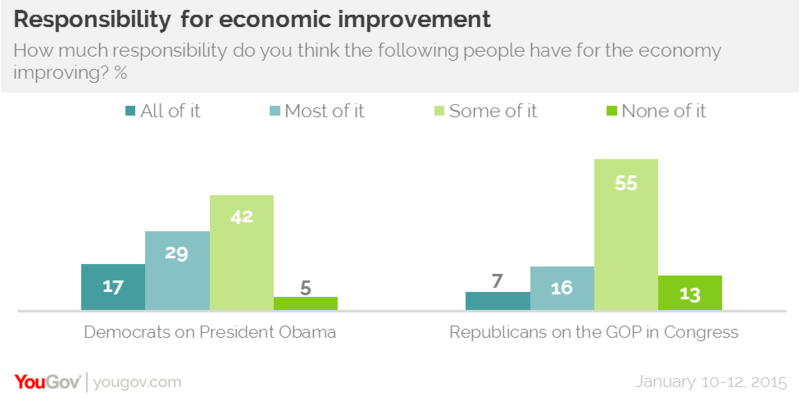 The President does only marginally better than the GOP when it comes to being perceived as responsible for the improving economy. There is relatively little partisan credit-giving. Most Republicans give the Republican Congress “some” credit, but fewer than one in four would give them “all” or “most” of it. Democrats grade President Obama somewhat better, but still are fairly evenly divided on President Obama’s responsibility. Just about as many Democrats give the President some or no credit as give him all or most. There may be two reasons for the painfully slow improvement in perceptions about the economy. First, when Americans talk about the economy or its effect on them, they tend to paint a more negative than positive picture of how things are. A third say their conversations with friends and family about the economy are mostly negative; just 19% have mostly positive discussions. This is personal: only one in four Americans think they are personally better off today than they were when Barack Obama took office in 2009. A third say they are worse off. 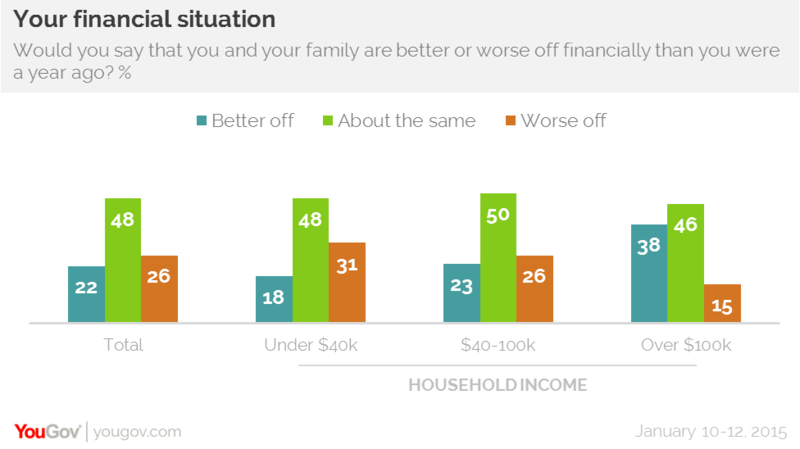 While those responses may reflect more than the state of the economy, a direct question about whether the respondent’s family financial status is better or worse than it was one year ago indicates that as many believe they are worse off as better off. Better off Americans are the most likely to say their financial status has improved in the last year; those with family incomes below $40,000 a year are the least likely to believe this. But there is another reason as well for the slow acceptance of economic improvement. Many Americans – especially Republicans -- simply don’t believe the data. 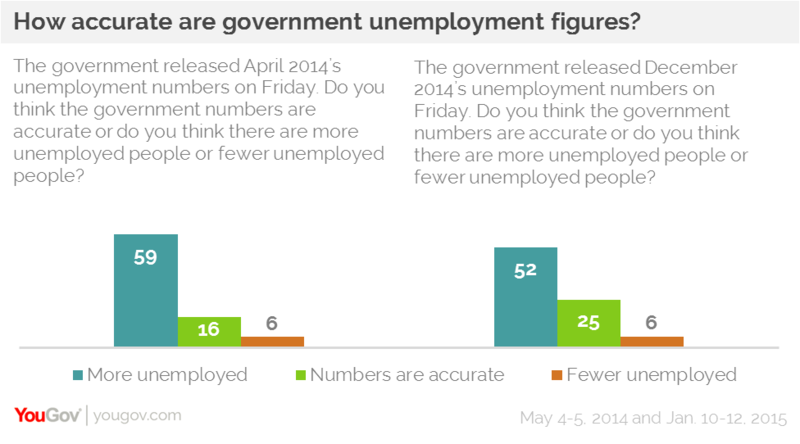 Only one in four think the unemployment figures are accurate. More than half think there are more people unemployed than the Bureau of Labor Statistics figures say there are. There has been improvement in the last few months in the credibility of the unemployment rate, but the large party difference remains. In this week’s poll, 70% of Republicans say more people are out of work than the government says there are; just 30% of Democrats agree.